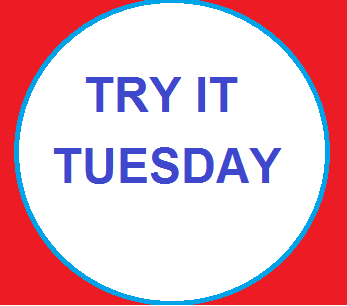 Rebecca and I started Try it Tuesday on our Facebook page a couple weeks ago but because this Try it Tuesday is essentially a few tips that may be all of you will benefit from I thought I would write a post about it. If someone had given me these tips when the Monkey was non – verbal I just might have kissed them. The tips I bring you today are in regards to bath time. Oh the dreaded bath time that I know so many of us experience. In the past had someone walked by our house during said bath time they surely would have thought we were torturing him. In all honesty before the Monkey could talk and before we knew why he hated bath time so much to him we were actually torturing him. That just makes me so sad to even think about! My Monkey had a lot of issues with three components of bath time: the temperature of the water, the sensation of having half your body in the water and half of it out and having water in his face. Lets face it our children are often hyper or hyposensitive and depending on the sensations they might be a little of both. This makes bath time a challenge because there are so many senses that are at play here. We, as neuro-typical individuals, do not even think about these things as we take our morning showers but you have the sound of water, the feel of water, the feel of washing, the smells of soap etc…. Once the Monkey was able to tell us what the issues were we did the following things. 1) We allowed him control of the temperature of the water. When we used to set it to what we thought of as warm he thought of as hot. When given the chance to select his own temperature of the water I found the water much to cold but for him it was perfect. Reminds me of Goldilocks and the Three Bears! This one is just right! I feel bad knowing that I was literally burning him in the past. Obviously not physically burning but to him that is how it felt. 2) We also started giving him a shower instead of a bath. He disliked the sensation of having half his body in the water and half his body out. At first I didn’t really understand this so I decided to test this out. So here is something for you to try as well. Sit in a bathtub at a temperature that you feel happy in. Now don’t lay down just sit there. Close your eyes and pay attention to how your upper half feels different then the lower half. The upper gets cold while the lower stays warm. You then have the feelings associated with the buoyancy on your lower half which would be much more apparent in our children. For these reasons we now give him a shower and this has made a big difference. 3) Give them something to deflect the water from running onto their faces when you rinse their hair. Washing his hair was always a nightmare. Not only were we using water that to him was to hot he also hated water going anywhere near his face. The shower has actually also helped with this because you get a small mist of water in your face as you wet yourself no matter what so it helps to slowly desensitize him. Then at the end we give him a face cloth to hold tightly along his forehead so that when he leans forward the water will run onto the face cloth but not actually on his face. The sensation of water slowly soaking through the face cloth is also much slower then the sensation of water running quickly down your face. I think this also helps. I wont say that this means we don’t still have bath issues but these three things have helped to make bath time a little less dreadful. We can usually go through bath time with no crying or screaming. Of course this depends on how his day is going but I would say that 75% of the time we are successfully having a positive bathing experience and honestly considering we went from 100% meltdown city to 75% success I’ll take it. So if your having a really hard time with bath time try a few of these tips. If you have additional tips you’d like to share comment here or on our page. I know I would love to turn my 75% success to 100% so what has worked for you? ← Goodbye Diapers – Potty training using negative and positive reinforcement.